Among the contemporary crop of Delhi’s flâneurs and society chroniclers, Ronald Vivian Smith is a tall figure. The septuagenarian arrived from Agra in the late 1950s, and his regular columns in The Statesman and The Hindu span the decades of wandering he has done in his adopted home city since then. Many of these columns are available online—rich inspiration for the first generation of city bloggers— and have also periodically been published in books such as The Delhi that No-one Knows (2005), Capital Vignettes (2008) and Delhi Rambles (2014). 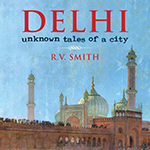 The newest such edition is Delhi: Unknown Tales of a City, comprising columns from between 1990 and 2011, and brought out by Roli Books. 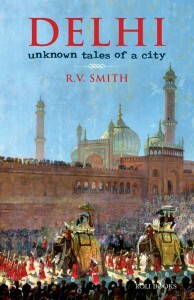 Through anecdotes and encounters with Dilliwalas, both past and present, Smith explores myriad facets of the capital. As a raconteur, it is Smith’s “sense of delight in histories discovered over the years,” as Narayani Gupta wrote in her foreword to The Delhi that No-one Knows, that anyone who has had even a passing flirtation with Delhiyana will be able to identify with. As Smith talks about festivals, monuments, rulers and poets, the feeling of discovery is familiar; accessible. Yet Smith’s distinct personality only flashes through sporadically: in his attraction to a beautiful face, his self-deprecating awareness of the meandering nature of his own writing. The journalist Mayank Austen Soofi, in a way one of Smith’s successors, notes in a profile in Mint Lounge that “Unlike other celebrated writers on Delhi, Smith remains as invisible as the people and places he writes about.” Particularly jarring in this book is the use of the neutral third-person, which results in awkward phrases such as “one stumbled” and “as one looked up with a start, one found a female form in white…” A more intimate first-person narration from Smith, if not a proper memoir, would be welcome. And as far as compendia of vignettes go, this one could have been better shepherded. 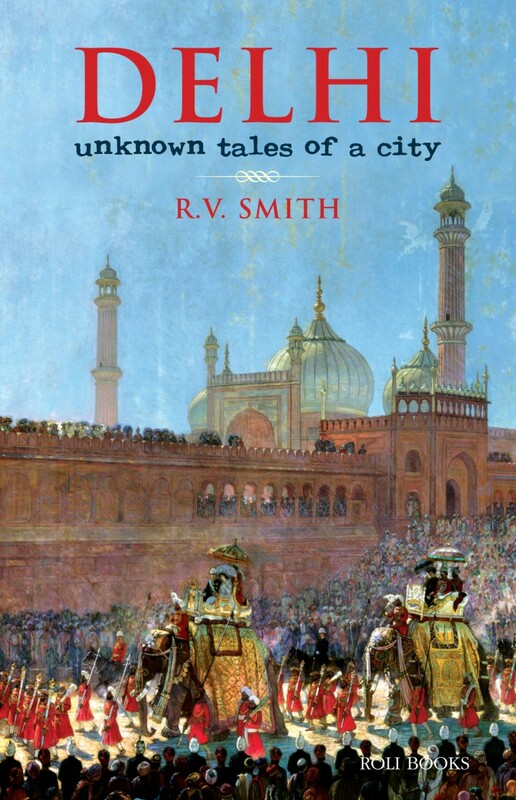 While The Delhi that No-one Knows has Smith’s writing grouped by geographical area and Capital Vignettes has thematic sections, the columns in Unknown Tales of a City seem somewhat arbitrarily organised, almost in a slightly muddled alphabetical order. Related columns—such as those about Diwali, or Bahadur Shah Zafar—could for example have been combined into longer chapters by an invested editor. An index would have been helpful, too. Particularly poignant is Smith’s description of a deserted sentry tower in the cantonment near Naraina, which evokes thoughts of “the futility of maintaining a watch over something which will eventually need no vigilance and harbours only vagabonds at night. It’s most distressing to think like that. You come back to the fishmongers…Perhaps the fishmongers may move out too and the sentry tower will be demolished. Then only memories will remain.” One could say Smith’s writing mirrors the city itself: rambling; extending, a bit haphazardly, in many directions and many layers; but with snatches of beauty and nuggets of history hiding just under the surface for those who go looking. Originally published in Outlook Traveller, August 2015.